Originally designed in glass by René Lalique in 1913, this iconic piece in the Lalique universe has been reissued in an extensive palette of colors, ideally suited to mix and match. 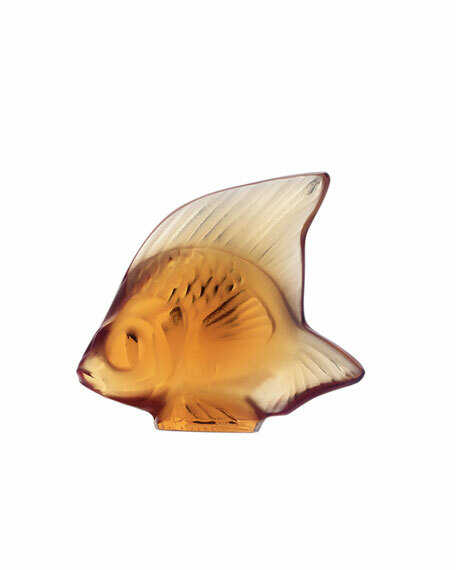 Angelfish figurine is handcrafted of the finest quality lead crystal in an amber hue. Approx. 2"W x 1"D x 1.8"T.